When you breathe, the air flows regularly in and out of the nose to the lungs. There is a low-volume sound under normal conditions. However, during night time the sound increases because you are breathing faster. When sleeping a certain part of the throat could become narrow at times. When air passes through this smaller passage, the tissue around it starts vibrating and causes the snoring sound. The reason for this passage to narrow varies from one person to another. It could occur in the nose, throat or in the mouth. 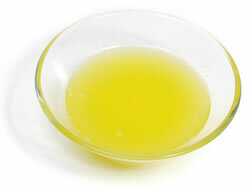 Take just two drops of clarified butter and put it in your nostril every morning and before going to bed. You can replace the butter with Brahmi oil. Crush the cardamom seeds to create half spoon of powder. Add this to 1 glass of warm water and drink it daily before going to bed. Take 2 spoons of turmeric powder (haldi) and add it to 1 glass of milk. Drink daily before going to bed to help cure Snoring. Add extra pillows to help prop yourself in the bed. Avoid lying flat on the back. This will help prevent any tissue in the throat from moving or swaying into the path of the airflow. Nasal strips are available at your nearest medical store. Use it for taping your nose during nighttime. This may appear to be odd, but they will help open the nostrils for increasing the airflow. Use peppermint mouthwash for gargling. This will help in shrinking the lining of the throat and nose. Use this method if the snoring is temporary and because of some allergy or cold. The mixture can be made by adding 1 drop of peppermint oil to 1 glass water. Make sure that you don’t swallow the liquid. If the snoring is seasonal because of allergy to pollen, drink 1 cup of stinging nettle tea every day. It has been used to help reduce pollen-based inflammation. Take 1 spoon of dried leaf and add it to 1 cup of boiling water. Let the tea steep for a few minutes. Filter it and drink before going to bed. Place a steam vaporizer or humidifier in the bedroom. It can help prevent drying of the air passages because of dry air. Make sure that the device is cleaned according to the manual. Place a bowl of water in the bedroom to help maintain the level of humidity in the air. Inhaling steam can also help in stopping snoring. Snoring is often caused because of nasal congestion. You can reduce the congestion by taking deep breaths of steam through the nose before going to sleep.You can use steam vaporizers or hot water in a bowl and use the traditional method of covering the head with a towel. Sleeping on your side can be helpful in reducing snoring. This is difficult to do because it is not possible to control the sleeping position. However, you can still do a lot by using one or more pillows on the sides to prevent you from laying straight on the back or any other way. These are effective home remedies that can help you get rid of snoring. In addition, you can also use other tips such as reducing your weight, eating healthy food and giving up smoking and drinking, if you already do, to help fight snoring.